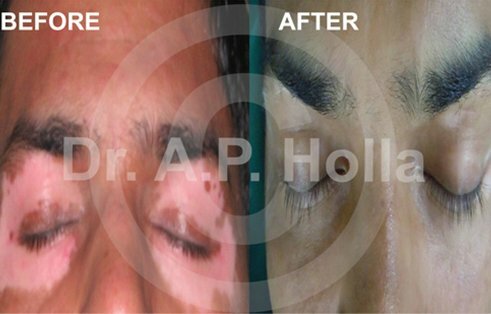 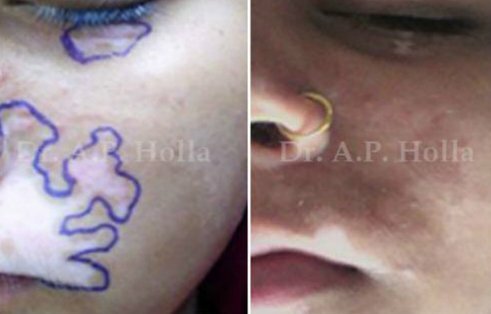 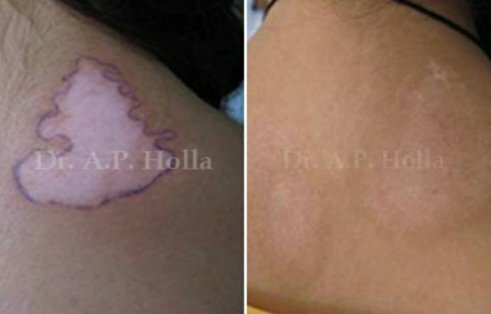 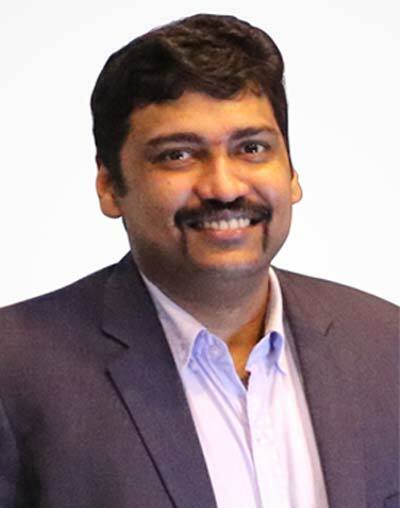 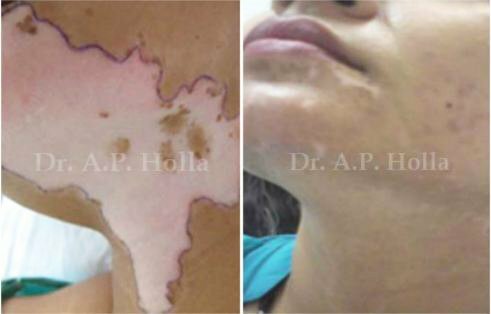 Success rates of surgical repigmentation vary with the type of Vitiligoand individuals. 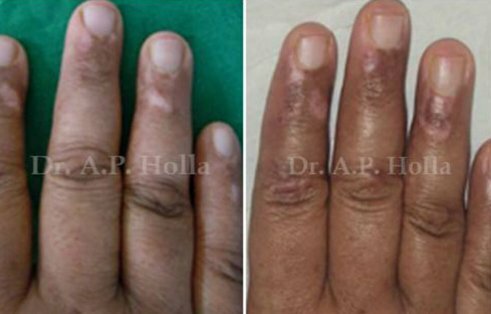 100% success is observed in Segmental and focal leucoderma, 90%-100% in generalized Vitiligo, 70-80% in leucoderma of finger tips, greater than 75% is considered as success.The main reason behind our success is that we offer exclusive treatment only for vitiligo patients. 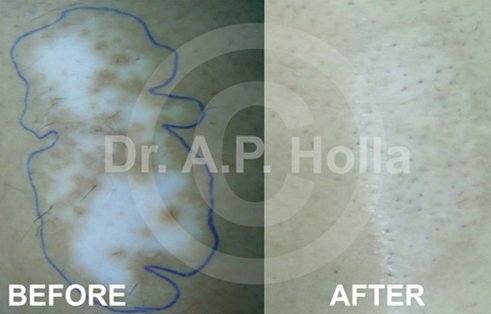 Use of a modified procedure (PBS, Chlorhexidineguaze, Moist environment). 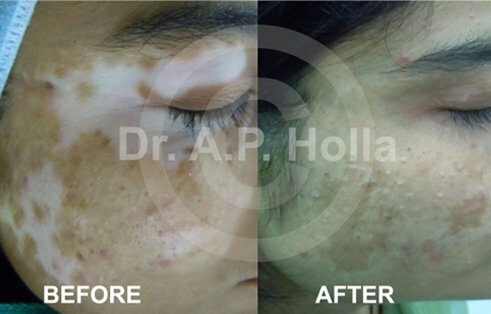 The normal repigmentation found in most of the surgical procedures is of diffuse type. 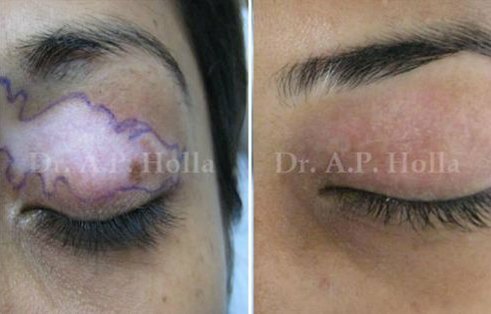 In transplantation of melanocyte–keratinocyte cell suspension and in cultured “pure” melanocytes, even replenishment of melanocytes is noticed and the repigmentation exactly bears a resemblance to natural colour of the skin. 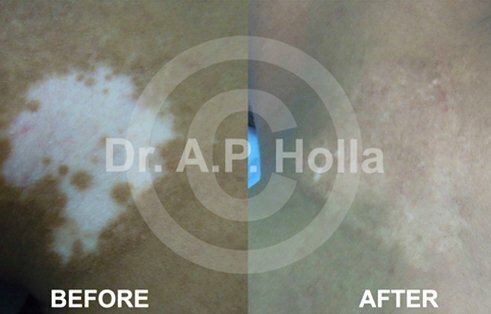 High yield of melanocytes and very less dermal components with cold trypsinization.